The Apuseni Nature Park is known as cave paradise. There are many fascinating caves to explore here offering many unusual underground rives and wonderful underground cave sculptures. Visitors here can enjoy over 200 caves. Participate in such activities like cross-country skiing, hiking, mountain biking, rock climbing, watching wildlife and birds. In the Aries Valley in the Apuseni Mountain visitors can see the lovely villages of Albac, Garda, and Arieseni. Here visitors can see skilled artisans known as the Motzi people carve musical instruments, hope chests and houses from the local wood. 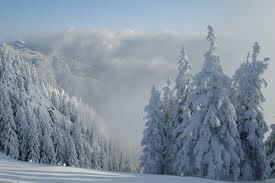 There are woods filled with spruce trees. Among the attractions in this nature park is the Bears’ Cave. This is a natural wonder named after the skeletons of bears long extinct and uncovered by mine workers in 1975. 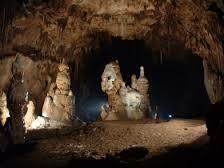 Here you can view galleries of stalagmites and stalactites which resemble animals and castles. Some of these stalactites are around 22,000 years old. This cave has an upper level which is open to visitors and another level used for scientific research. 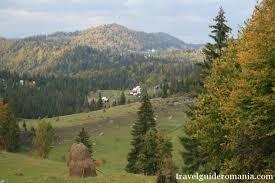 A great attraction in the Apuseni Mountains is the cave fauna. Some of the caves here are home to rare bat species like the dwarf bat. Among the protected mammals are the bear, the Carpathian elk and the black goat. There are also several Alpine birds like the Ural owl, the nutcracker and the lesser spotted eagle. During the winter don’t forget that Apuseni Nature Park also provides great skiing with ski resorts at Arieseni in the south and Stana de Vale in the north. Trails can be followed even during snowy weather and visitors can have a horse open sleigh ride. In the spring you can watch the water rush down from mountain tops as it begins to melt. In the summer hikers can go way down into deep caves and take canoe trips through amazing canyons and in the autumn watch the leaves changing colors.